The Montreal International Game Summit (MIGS) is a special type of conference much different from the PAX, E3 or CES style of shows. MIGS does have its share of games to look at and interesting panels, but the expo floor is really centered around recruiting and partnerships. Exploring the summit this year I found a great number of companies recruiting, and organizations offering training in the industry. This reinforces Montreal as a booming gaming centre, and MIGS is right there to focus on that fact. While the expo floor at MIGS is not a place to see the latest and greatest games, it is a good place to meet a number of large and small studio personnel and learn about what they are working on. The largest booth was for Ubisoft. The company was showing games that were already out, like Starlink and Assassin’s Creed Odyssey, but was really focused on speaking to attendees about joining Ubisoft. Beenox’s people were showing the PC version of Blacks Ops 4, but instead of talking about the game they were hoping for resumes or interest in their studio. All of the major publishers at the show had the same slant, eager to grow their teams with fresh talent. Popping over to the indie pods, the story shifted. The indie developers are looking for interest in their games and potential publishing partners. At other events the consumer is key, but here partnerships, recruitment, and knowledge sharing are the main desires. The games were hit-and-miss, but a few stood out as worth a closer look. Fission Superstar X: In this game I piloted a bomber with limited crew trying to get to earth for some really odd story reasons involving a nuclear bomb and a superstar character. Whatever the crazy story, the gameplay is quite fun. It is a scrolling shooter, but with RPG and Rogue-like elements in between levels. Doing well provides money and resources to upgrade/repair the ship and an option to hire more crew. As in FTL, the goal is to last as long as possible. Children of Zodiarcs: This Square Enix Collective game has been out for a while but was a huge crowd hit. It’s very similar to Final Fantasy Tactics but has a card mechanic for actions, and dice rolls to randomize the results. The dice and cards expand and level up as the game progresses. It was a great game to check out, and the developer told me it was great being part of the collective, but the Square Enix name holds a lot of weight in both good and difficult ways. They are working on another title and based on what I saw I can’t wait to see more. Spoken Adventures: This is a world on both audiobooks and game books. In this case the stories and games are entirely voice-activated. Think back to the old adventure games where there were options like look around, pick it up, and leave the room. The game contextually acts on spoken commands. The company has several titles out and what I saw was very impressive. They are looking at getting on Alexa and Google Home but currently are on more traditional devices: smartphones and PC. I also attended a couple of panels at MIGS. The panels are very interesting, very technical and focused on teaching or passing on lessons learned. There were multiple streams, such as Art, Audio, Marketing, and Writing, each with a talk every hour or two. Having More Control: Remedy’s Next Game. Remedy is best known for games like Max Payne and Alan Wake. Most people don’t know Remedy is an independent studio that has gone for IPO funding for its new multi-project, multi-platform strategy. Thomas Puha gave a great talk about how the evolution of Control started and what it means for Remedy to work on a game like this in its new ecosystem. They hit stumbles, such as needing new engine tech, scope creep, and a launch date further out than they had hoped. But they started with a terrific foundation and more organization than they had exercised before. The game will be their first that is more of a sandbox title – all their previous ones were very linear. It will also have character growth and development from an abilities perspective, which is also relatively new. The look I got into the process and passion behind this new game was very interesting. Remedy is not a new, inexperienced studio. But every game they make teaches the team many new things and keeps them humble. 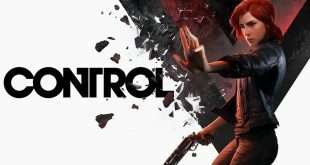 Control is a third person game revolving around a mysterious bureau of supernatural affairs and its enigmatic and sprawling headquarters. There are powers, weapons, and corrupted agents that will make up the bulk of the experience. Further info is coming later this year or in early 2019 and I can’t wait to learn more. Paint it Black: The Art and Design of Darkest Dungeon. Darkest Dungeon is one of my favorite games, and its visual style is a big part of that love. Creative director and lead designer Chris Bourassa of Red Hook spoke about how the characters and creatures came to be. One of the key principles he discussed was that he wanted the characters to seem like superheroes, dysfunctional damaged ones but heroes nonetheless. He drew parallels about the head and armor designs and how they matched Iron Man, Batman and others. He also went into iconography and how the torch logo with stress lines appears everywhere so it grinds into our brains. He went on to go over the creatures and monsters. His goal was to go further and further to see what would stick, and the more demented he got the better the design was. My favorite insight was the gruesome bug-like vampires from the crimson court. He did not want Brad Pitt’s version of a vampire. Instead he imagined what it would be like if a tick or mosquito was a vampire. They love blood too, so why not? The Red Hook talk was pretty amazing and added even more depth to an already terrific game. I was able to chat with Bourassa while at MIGS and will post that interview shortly. He is a terrifically talented person with a great vision. He could not tell me what is up next for Red Hook but did allude to something great coming. Is it another expansion or Darkest Dungeon 2? Either way I am excited to see what is next. For me that was the end of the first day of MIGS. I had a chance to check out some games, meet some interesting developers, and enjoy a few really great panels. The Montreal International Game Summit is not a bombastic trade show, but it is certainly a very interesting one. At the surface I took Mistover as a Darkest Dungeon clone, but developer Bluehole has brought a lot of depth and originality to the game.